The Second Amendment is under attack on all fronts through domestic regulation, foreign treaties, and legislative action on the federal, state and local level. Everywhere we turn, it seems, there are those who would supplant our fundamental right to defend our homes from predators and our freedom from oppressive government. In Austin, Texas, however, there is a different kind of movement afoot. It’s one that promises to change the very landscape of gun ownership, and it’s got lawmakers around the world quaking in their boots. 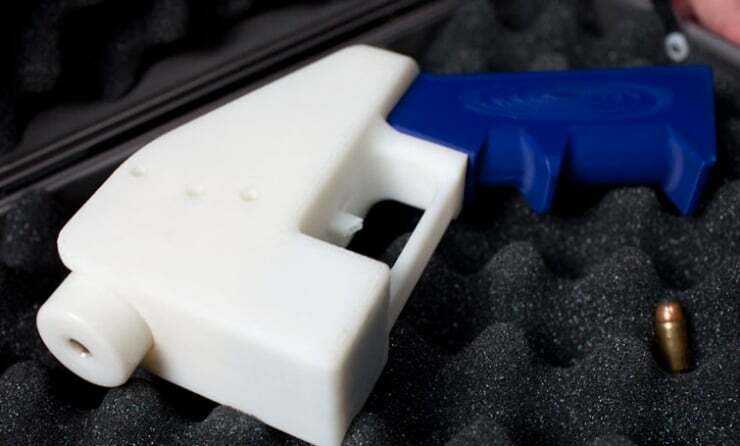 After months of development and testing, Austin-based Defense Distributed has produced the first ever 3-D printed firearm, and has successfully tested it with live ammunition. The project’s lead developer Cody Wilson says the Defense Distributed collective of gun access advocates will release the blueprints for the printable gun to the public for free. It’s called the Liberator, and it’s been produced solely with the use of a 3D printer purchased on Ebay for about $8000. As you may have guessed, lawmakers are already working on legislation to ban the technology, though it is unclear if they intend to ban just the production of 3-D printed firearms, or the printers themselves, which are available starting at about $1000. The Liberator may look like a toy, but “this gun can fire regular bullets,” Schumer said, calling for legislation outlawing the technology’s weapons potential. They can make all the laws they want. This technology has now been let out of the bag, and stomach churned gun control advocates can push as hard as they want. It will not stop the plans for The Liberator from being disseminated to anyone who wants them. 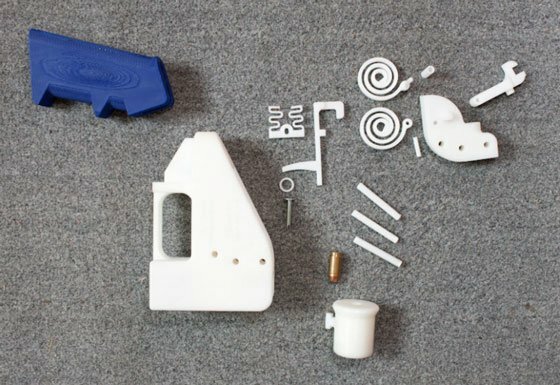 Defense Distributed and the many others working on open-source 3-D printing kits for firearms and accessories have changed the world. And there’s no going back. You can download the blueprint for The Liberator at DefCad.org and learn more about the Wiki Weapons project at Defense Distributed.